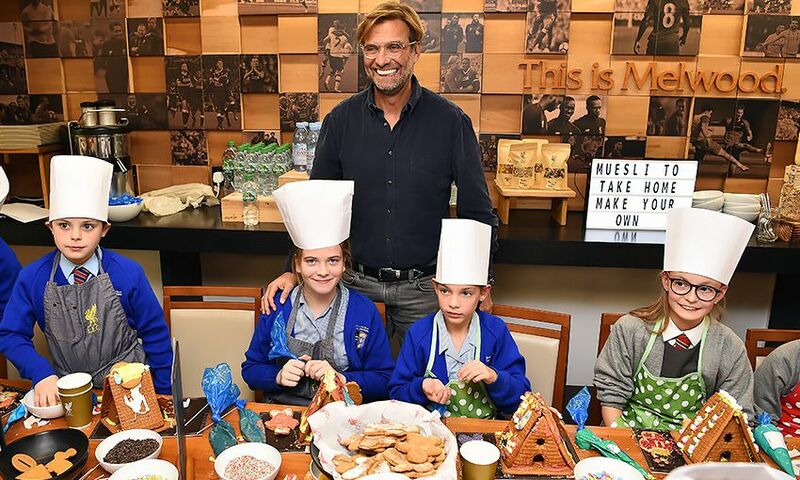 Jürgen Klopp and his Liverpool players teamed up with children from local primary schools last month to create the club's official Christmas card for 2018. 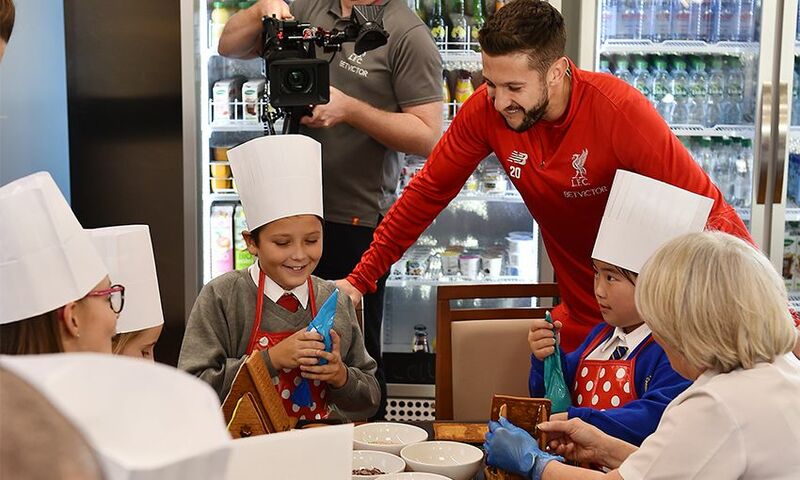 Pupils from Florence Melly Primary School, St Francis de Sales Catholic Junior School and All Saints Catholic Primary School - all Red Neighbours-affiliated schools from the Anfield area - were invited to take part in the unique creative challenge alongside the first team. 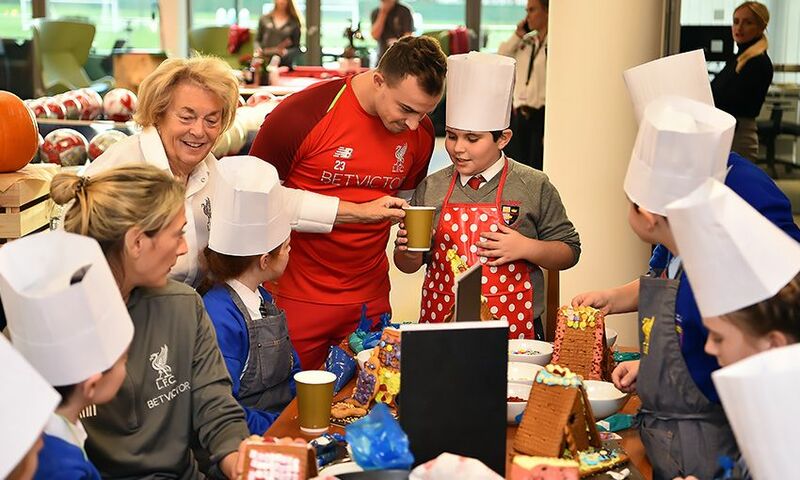 Assisted by club nutritionist Mona Nemmer, 12 youngsters joined the Reds manager and stars at Melwood, where they spent the afternoon building and decorating the festive gingerbread scenes depicted on this year's greeting. 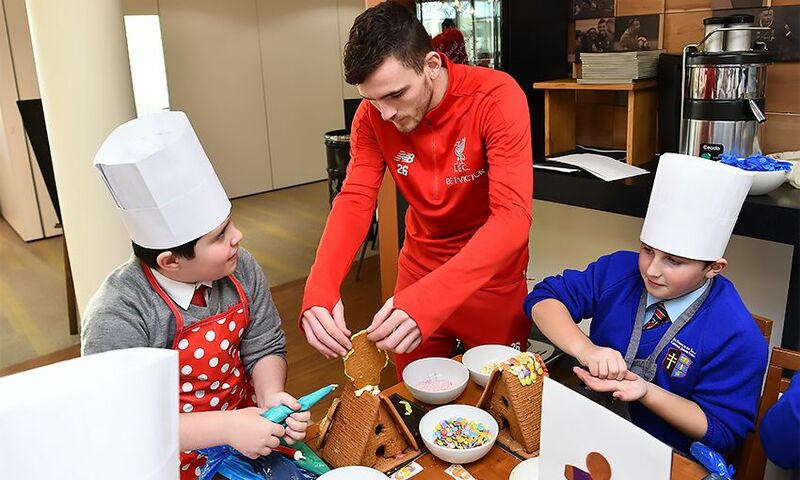 "It was lovely to welcome the children into Melwood for the afternoon, and we all had great fun helping with their gingerbread creations," said Nemmer. "The creativity and enthusiasm shown by the pupils was fantastic, and this was reflected in the quality of their designs. "Some of the finished articles were really impressive and they're going to look great on the card." 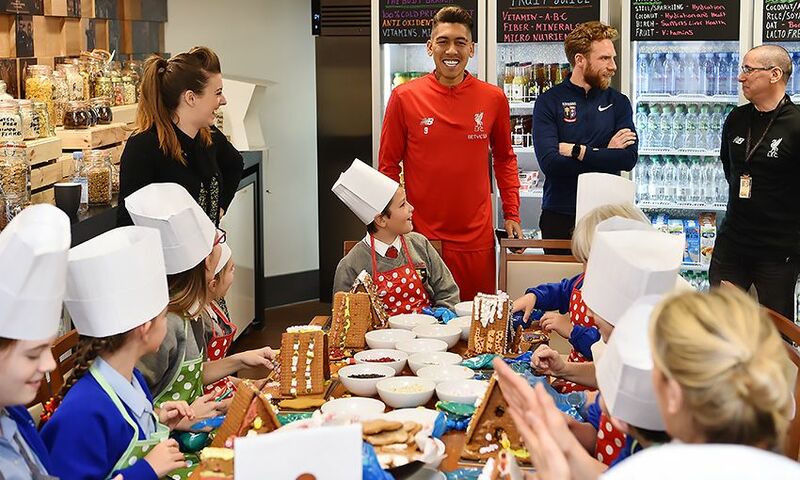 Once the children's creations were complete, the designs were photographed and printed on the front and inside of this year's official club Christmas card. 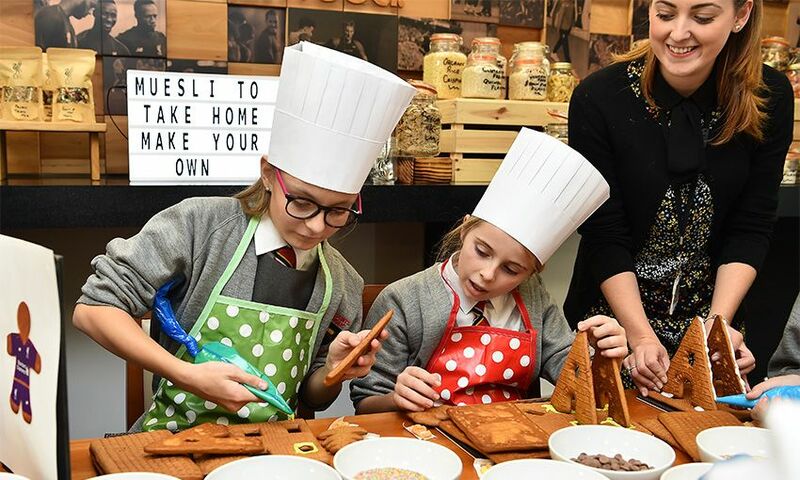 Nine-year-old Jenny Luo, from Florence Melly Primary School, said: "I loved decorating the gingerbread. 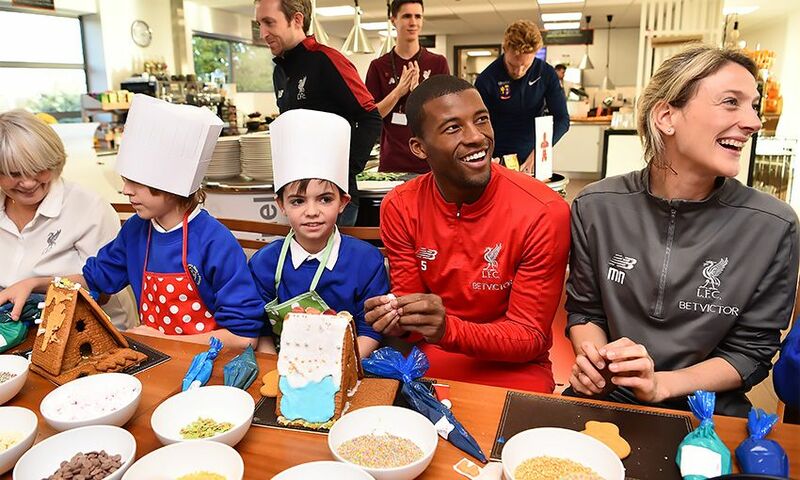 "I wasn't expecting to meet any players, so when I saw them all, it was just brilliant. I won't ever forget going to Liverpool FC for the afternoon." 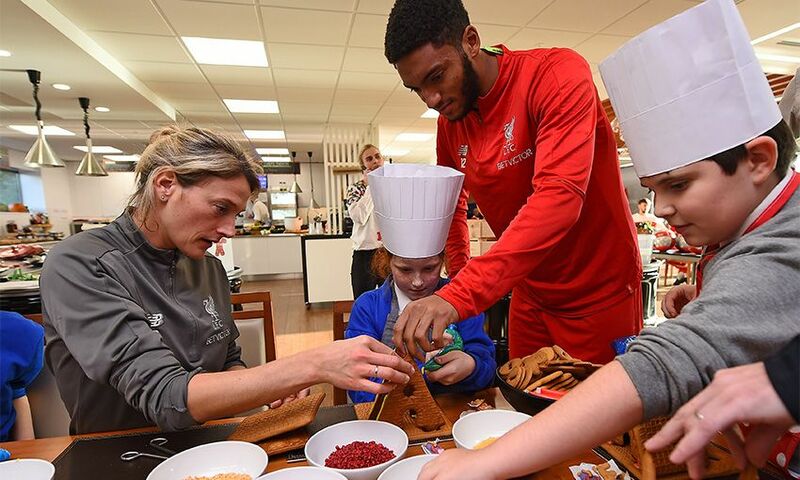 Red Neighbours aims to make a difference to those who live in and around the Anfield area, by focusing on four key areas of need: food poverty and education; support for the elderly community; encouraging a physically active community; and creating memorable experiences for young people.